Webdroppers have extensive experience developing standards-based, state-of-the-art applications for your every need. Custom ecommerce applications, fulfillment management applications, user membership services, payment processing applications, application management tools – whatever you need, we will deliver a solution for you. 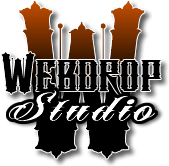 Webdroppers develop web applications using PHP as the programming language of choice in. PHP can be deployed on most web servers and as a stand-alone interpreter, and on almost every operating system and platform free of charge. PHP is installed on more than 20 million websites and 1 million web servers. PHP is used as the server-side programming language on 75% of all web servers. Web content management systems written in PHP include MediaWiki, Joomla, eZ Publish, WordPress, Drupal, and Moodle. All websites created using these tools are written in PHP, including the user-facing portion of Wikipedia, Facebook, and Digg. Web applications do not require any complex “roll out” procedure to deploy in large organizations. A compatible web browser is all that is needed. Browser applications typically require little or no disk space on the client. They require no upgrade procedure since all new features are implemented on the server and automatically delivered to the users. Web applications integrate easily into other server-side web procedures, such as email and searching. Web-based applications provide cross-platform compatibility (i.e., Windows, Mac, Linux, etc.) because they operate within a web browser window.